Born on July 6, 1736, Daniel Morgan was the son of Welsh immigrants, living in the colony of New Jersey. There must have been a rebellious temper in the lad because at age 17 he ran away from home after a fight with his father. The teen worked in Pennsylvania for a time and then wandered south to Virginia, eventually settling in the Shenandoah Valley, near the future location of Winchester. (At this time, the western valleys of Virginia were still considered “the frontier.”) Here, Morgan worked hard and in a year he’d saved enough money to buy a team of horses. For some men the French and Indian War (1754-1763) was training for their military role in the American War for Independence, but not for Daniel Morgan. Taking his new team of horses, he joined as a civilian teamster and drove baggage wagons for the British/Colonial forces. (During the American War for Independence, Morgan’s troops would affectionately call him “the Old Wagoneer”). However, he did develop a bitter hatred for the British; he hit a superior officer and was sentenced to a severe whipping as consequence. After the war, Morgan married Abigail Curry; they would have two daughters. The family lived on a prosperous farm in the Shenandoah Valley. Morgan volunteered as a rifleman and helped defend the western borders of Virginia from Native American raids; in 1774 he fought in Dunmore’s war against the Shawnee tribes in the Ohio valley. After the battles of Lexington and Concord (1775) started the conflict, southern colonies sent militia companies help with the siege of Boston. The Virginia government appointed Daniel Morgan to lead a company from the Shenandoah Valley. “Morgan’s Riflemen” would gain a reputation for accurate sharpshooting. The company arrived near Boston on August 6, 1775, after completing a 600 mile march in 21 days (that’s averaging 28.5 miles a day). Morgan participated in an invasion of British-held Canada. At the Battle of Quebec on December 31, 1775, Morgan was forced to surrender and was a prisoner of war until January 1777. Rejoining General Washington’s army, Morgan discovered that he’d been promoted to colonel, and he organized the 11th Virginia Regiment. He was also the commander of the Provisional Rifle Corps, a special unit of marksmen organized to harass the British with guerilla-like tactics. Joining General Horatio Gate’s force near Saratoga, Morgan participated in the Freedman’s Farm and Bemis Heights conflicts. At Bemis Heights the riflemen’s sniping helped turn the tide in the American’s favor. In 1778 Morgan lead his command (reorganized as the 7th Virginia Regiment) in various raids on British supply lines. Although a successful commander, Morgan was overlooked by Congress for promotion, even though he had temporarily commanded a brigade. Frustrated and suffering from poor health, he resigned in 1779 and returned to his home near Winchester. By 1780, with American military disasters increasing in the Carolinas, Morgan agreed to fight in that region. He was given a corps of infantry and a promotion to brigadier general. His commander, Nathanael Greene, split the American forces, ordering Morgan to harass the British in the South Carolina backwoods. Morgan was strictly ordered to avoid a confrontational battle. Then there was British Colonel Tarleton. This fierce, ruthless dragoon commander was sent by General Cornwallis to track down and destroy Morgan’s army. Knowing that Tarleton made hasty decisions and despised colonial militia, Morgan decided to disobey Greene’s orders and planned a battle strategy. Using his Virginia riflemen along with the militia, Morgan positioned them in front with clear directions to withdraw after inflicting initial losses on the British force. Tarleton took the bait…and charged toward the fleeing militia, not even noticing the soldiers waiting in reserve. A point-blank range volley stopped the British attack. The Battle of Cowpens (January 17, 1781) was an American victory. In February severe back pain forced General Morgan to return home. Later in the year he returned to fight Tarleton, who had invaded Virginia, but this time he was not as successful. The following year (1782) he formally resigned his commission. Morgan invested in large tracts of land around Winchester and Charlestown, Virginia, eventually owning 250,000 acres. After returning from war in 1782, he built a new home – called “Saratoga” near Winchester. Two years later Congress sent him a gold medal in honor of his decisive victory at Cowpens. As squabbles rocked the new nation, Morgan led part of the militia army which suppressed the Whiskey Rebellion. He served in Congress’s House of Representatives from 1797-1799, aligning with the Federalist political party. Daniel Morgan died on July 6, 1802, at age 66. He was buried in the graveyard of the Presbyterian Church that he attended. However, about sixty years later, with the American Civil War raging, his body was reburied in South Carolina because local citizens were afraid that Yankee soldiers would steal his body or desecrate his grave. After the war ended, Morgan was buried in Mount Hebron Cemetery, Winchester, Virginia. 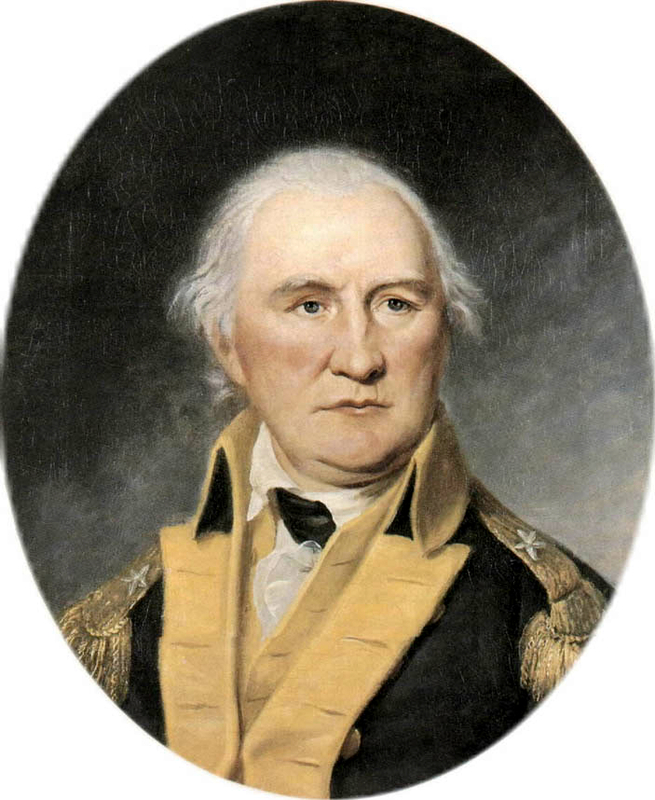 Daniel Morgan is one of the American commanders who did not receive rapid promotion, but who diligently worked to succeed at wherever he was placed. “Morgan’s Riflemen” were feared by the enemy for their accurate aim and new tactics. Morgan’s greatest war-time achievement was the Battle of Cowpens, which turned the Carolinas war-tide in the American’s favor. Devising a daring strategy, Morgan won a morale-raising victory for the American cause, proving that Tarleton’s dragoons and British infantry were not invincible. Without the victory at Cowpens, would the war in the Carolinas have turned in the Americans’ favor? There’s a lot of “what-ifs” in this situation, but, in conclusion, Daniel Morgan’s success was the launch point of American campaigns which concluded with the victory at Yorktown in 1783. P.S.S. If you’ve watched a certain American War for Independence movie, you may notice the similarities to its final battle and the history of Cowpens. It seems the screenwriters “borrowed” Morgan’s battle strategy, Tarleton’s terrifying dragoons, and a combination of Daniel Morgan and Francis Marion to build the plot of the movie.